Every week you will receive a Bible study that will help you grow in your relationship with God. You will discover how faith, prayer, the Bible, and the Holy Spirit will help you live an adventurous and purposeful Christian life. We will also be sending you daily insights into the Bible based on passages found in the first four books of the New Testament, which are known as the Gospels or “Good News.” These devotionals will help you get to know Jesus better and deepen your relationship with God. 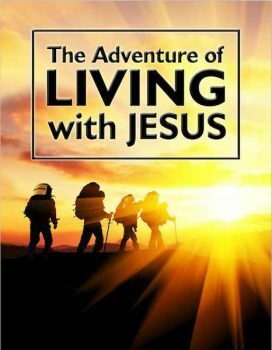 Sign up for free to download the book, The Adventure of Living with Jesus, and to receive our daily devotions by email so you can discover how to access the spiritual resources God offers you.